This post is not quite a part of my series on Israel and Palestine, but it is relevant. For those interested in travel advice be sure to read the last part of this post. Jordan was very surprising to me. It was more developed than I thought and I didn’t even get to the north and Amman. The population is very well-educated. English is taught in most schools. The people are very welcoming. Even when people knew I was Jewish and that I was staying in Israel, they were still very friendly. Jordan is a very large country, about four times the size of Israel. But most of its population lives in a very small area called the Jordan Rift or the Jordan Valley close to the border with Israel/Palestine. Jordan shares borders with Israel, Palestine, Syria, Iraq and Saudi Arabia. When you look at the map of Jordan, it is hard to understand unless you know the background on how the British carved up the Middle East. With the exception of Syria, Israel and Palestine, the main population of Jordan is very far removed from the population centers of Iraq and Saudi Arabia. The country of Jordan is very new, only created by the British in 1922 during the British Palestinian Mandate. Prior to that, the area that became Jordan was under the rule of the Ottoman Empire for more than 400 years. At the time of the creation of the State of Jordan, there was just over 200,000 people living there. The British created the royal family of Jordan by installing the son of the Emir of Mecca, Abdullah I bin al-Hussein, as the King of Jordan as a reward for his support to the British and as a consolation prize for the British sell out of Arabia to the Saudi family. Most of the people who were living in Jordan when it was created were Nomads (Bedouins). The current population is now more than seven million. About half the population are decedents of the original inhabitants of Jordan and about half are Palestinians. There are actually more Palestinians living in Jordan than in the West Bank of Palestine which adjoins Jordan. The Jordanian economy is doing pretty well with an average growth of more than 4%. It’s main exports result from mining. But the country has embraced IT and is one of the leading IT outsourcing countries. Tourism plays an important part but has been hurt badly by concerns amongst western tourists about the Arab Spring and the civil war in Syria (more on this later). As mentioned, Jordan along with many other Arab countries attacked the newly created State of Israel in 1948. In early 1949, an armistice was signed. The Armistice Line separating Israel from the other parties to the conflict was called the Green Line because of the color of the pen used in drawing the map. It is interesting to note, that because of Israel’s planting of trees and development of advanced irrigation techniques, the border between Palestine and Israel is often referred to as the green line. This is in reference to the lushness on the Israeli side and brown dryness on the Palestinian side. I have had Palestinian’s tell me that it is called the Green Line because Israeli took all the green lands. So, in 1949 Jordan was now in possession of the land west of the Jordan up to the Israeli border which contained the ancient Jewish Kingdoms of Samaria and Judah. It is clear (at least to me) that it was always the plan of the Jordanian King to incorporate that Palestinian part of the partition into Greater Jordan. He certainly wanted to also get the Israeli part but that would not be. So after the armistice, Jordan simply incorporated (illegally ) the West Bank into Jordan and gave the people living there Jordanian citizenship. The West Bank might have continued to be part of Jordan if it was not for the PLO under Yasser Arafat. And if that had been the case, Jordan would have clearly become the Palestinian state with Amman as its capital. Jordan was one of the countries that attacked the newly created State of Israel in 1948. 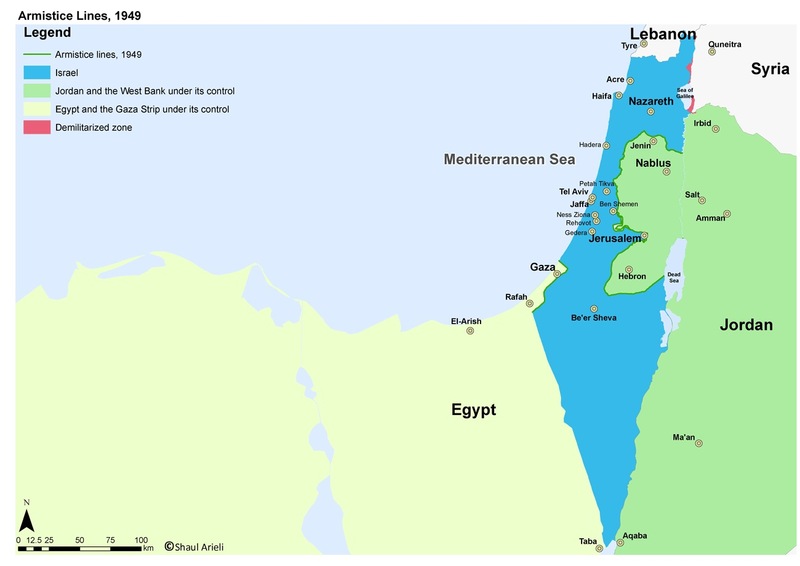 When the war was over, Jordan occupied the area that was supposed to be Palestine under the Partition (and Egypt took Gaza.) There were continuous hostilities between Israel and Jordan although they diminished greatly after Israel’s victory in the Suez War. Then in 1967, Jordan was about to attack Israel when Israel moved first in what is known a the six-day war (1967). One of the results of that war was that Israel occupied the West Bank including all of Jerusalem. Israel incorporated east Jerusalem into Israel however, it allowed the Kingdom of Jordan to administer the temple mount in the old city of Jerusalem where the Dome of the Rock and the Al-Askar Mosque is located. This also happens to be the site of the most holy site for Jews, the location of Jewish Temple which was distorted in 70 AD by the Romans. In October 1994, Jordan and Israel signed a peace treaty that has lasted now for almost 20 years. After the end of the six-day war, in 1967, a number of Palestinians fled to Jordan. In September 1970 a civil war broke about between the Palestinians, led by Arafat, and the Jordanian Army under the command of the King Hussein of Jordan. By the time it had ended with the victory of the Jordanian Army, many Palestinians had been killed. 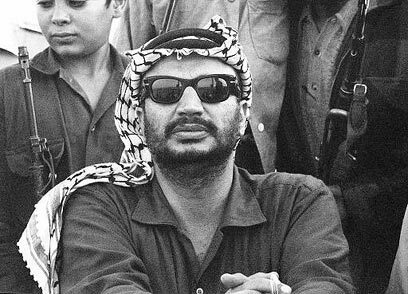 Arafat and the PLO fled Jordan and moved their operation to Lebanon (which created a disaster there but that is not the subject of this blog post). Although Israel offered the West Bank back to Jordan in return for a peace agreement, Jordan declined. Not only did they not want to make peace with Israel, but also because they realized that if they incorporated the West Bank into Jordan again, the days of the Kingdom of Jordan would be numbered. Jordan then began revoking the citizenship of Palestinians. 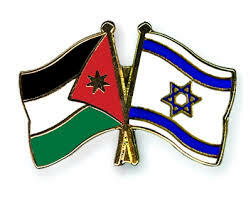 There is a great deal of cooperation between the Governments of Israel and Jordan. I am sure much more than anyone in the public would know. Israel and the USA keep Jordan stable in a number of ways including military, security and economic support. It is not clear to me that Jordan wants to see an independent Palestinian State on its west border. I am pretty sure that they support the idea of Israel maintaining a military presence in the Jordan Valley so that they do not have to worry about terrorists from Palestine going in and out of Jordan. When I speak about Jordan, I am really speaking about the King and the other political leaders. The average Jordanian probably wants to see the Jews pushed into the sea since all they hear and see about Israel shows it in a very negative light. I wish that Jordanians would visit Israel, but the Israeli government makes that hard not that Jordanians are really that interested. While an Israeli can get a visa to Jordan right at the border, Jordanians have to wait many months to get approved. The Israeli government wants to make sure they are not terrorists or want to move to Israel to get higher paying work. The US Government makes Jordanians apply for visas well in advance but US citizens are granted a visa at the border of Jordan without delay. The difference is that Jordan and Israel are neighbors. If there could be exchange programs for Israeli and Jordanian high school students, it would be wonderful. There are almost 500,000 Palestinian refugees in Syria. They have never been given Syrian citizenship. They have been living in refugees camps for 66 years (three generations) and are suffering horribly during the Syrian conflict. 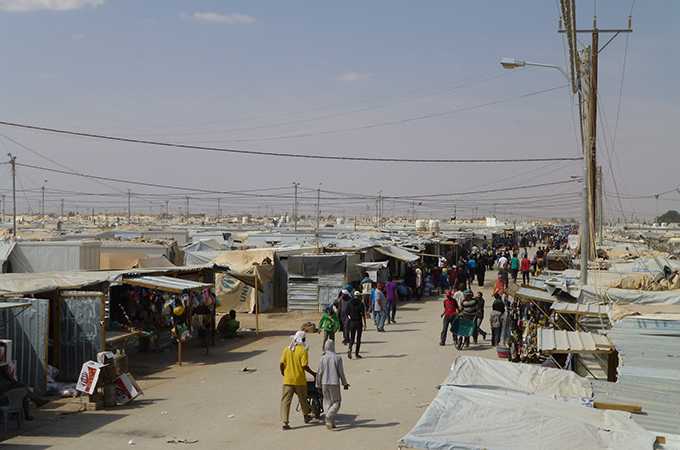 While Jordan has been willing to accept Syrian refugees it has not been willing to take in the Palestinians. I suppose they think the Syrians will go back after the conflict is over but are concerned that the Palestinians will stay. On the other hand, Israel could also allow the Palestinians to leave Syria and move to the West Bank. I support that, but I would think that Israel would require those Palestinians give up their claim to return to Israel proper, and the Palestinian Authority would never agree to that. In this part of the world politics trumps humanity. There are three ways to cross the border between Israel and Jordan. 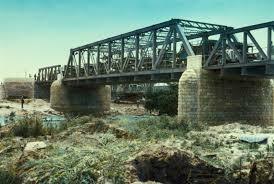 The first is in the north and is called the Jordan River Crossing. The second is the Allenby Bridge Crossing which actually connects the West Bank and Jordan (more on this later) and finally there is the Aqaba Crossing between Aqaba and Eilat on the Red Sea. Jordanian Visa’s can be issued at the border crossing with the exception of the Allenby Crossing. Israeli visas can be issued at all the crossings. If you are going from Israel to Jordan via the Allenby Bridge, you need to get a visa from the Jordanian Embassy in Tel Aviv. That was an easy process for us. It took about ten minutes to fill in the paper work and we pay about $50 each. We came back a few hours later and to get back our passports which now had the visas. The reason that you can not get a visa at the Allenby Bridge is because Jordan does not accept Israel’s presence in the West Bank. So their attitude is, if you walk across the bridge into Jordan and you have a visa, that is great. They don’t know how you got there. And if you leave Jordan via the Allenby Bridge, they don’t care. They don’t know where you are going. Jordanian visas can also be gotten in Ramallah, the current capital of Palestine. There must be an entrance to the Israeli boarder site from Palestine. I saw Palestinians entering Jordan at the final Israeli section of the bridge. This is the only location where Palestinians can enter or leave Jordan. It is strange that Israeli’s and Jordanians know so little about each other. It takes longer to get from LA to San Diego than it takes to get to Amman from Jerusalem. Israeli’s and Jordanians have much in common. They are family oriented and have very high personal standards. The emphasis on education and english in Jordan is completely in line with Israel’s emphasis. Jordan is developing a strong IT focus. Israel is a leader in high-tech and needs access to the talents of Jordan. Jordanians of course, hate Israel’s treatment of the Palestinians something which I also do not approve, but compare that to how the Palestinians are treated in Lebanon, Syria, and Egypt, you have to wonder why all this anger is directed at the Jews. Jordan is a beautiful country as I have mentioned. I can strongly endorse it as a place to visit. But its tourism industry is suffering because of fears by Westerners related to the Arab Spring and Syria. Yet, Jordan is very safe. It would do well to promote itself to Israeli’s and tourists visiting Israel. They could have a campaign like “Jordan and Israel” two countries for the price of one. They can make it clear that it is easy to move across the border between the two countries. And even better, include Palestine (especially Bethlehem) in the package. I was surprised when my guide gave me a map of Jordan. The surrounding countries were labeled on the map, even Jerusalem and Bethlehem were labeled but Israel and Palestine are not. This was not as bad as the map I saw three years ago in Egypt which just showed the area that is Israel and Palestine as just Palestine and had Jaffa but not Tel Aviv on the map. My wife and I just spent three amazing days traveling in Jordan. If we had understood better about how beautiful the country was and how wonderful the people are, we would have definitely spent five days there. I am not going to write a travel blog. But I will take a few moments to suggest the best way to visit Jordan especially if you are coming from Israel. I definitely recommend starting in the North and traveling South. We used Indagare and Discovery1 to make our arrangements. Our guide was amazing. His name is Aziz Azayzeh. He was wonderful. If you book through Discovery1, ask for him. Day 1) Start in Amman and spend half a day and any evening, and overnight there. Day 2) Go north to Jerash, one of the most intact Roman ruins in the world. Then I would drive from there to the Dead Sea. There are some amazing hotels to stay in on the Jordanian side. We stayed at the Kempenski, Dead Sea. Day 3) Drive to Madaba where you can see an amazing mosaic which is in the floor of a Greek Orthodox Church. It is a map of ancient Jerusalem and has provided many hints for archeologists, including clues that lead to the discovery of the City of David. Then visit Mt. Nebo where legend has it that Moses stood and got a view of the Promise Land, a place he would never enter. On a clear day, you can see Jerusalem. After that, spend a night in Petra. Day 4) Get up early and beat the crowds for a walk through the ancient Nabatean kingdom of Petra (312 BCE). After that drive to Wadi Rum and take a four wheel vehicle to explore the this most amazing place. This was the highlight of our tour of Jordan. I have never seen anything like it consisting of high desert with gigantic limestone Mt. We spent the night in a camp (5 stars). I have never heard such quiet. The stars were amazing. It was like being on another planet but one so beautiful. Day 5) Go to Aqaba on the Red Sea. It is a really nice town (nicer than Eilat in my opinion with several high-end hotels.) You can spend the day swimming in the red sea, visiting the local markets and enjoying a wonderful evening. The next day you can cross into Eilat easily and fly back to Tel Aviv in less than an hour or drive the four hours through the Negev desert. We hired a guide and a driver. But if you are adventurous, you can drive yourself and get a guide when you are in Petra (you need one there). We felt totally safe. Many Jordanians do speak english. The border crossing in and out of Israel is pretty easy. It only took us 15 minutes to get in and that included getting a VAT refund and on our return it took 10 minutes to leave Jordan and re-enter Israel. Previous post ← It’s not big brother that should worry you, it’s little brother, the spy in your pocket.